I’ve been thinking of writing about my most favorite car I have ever owned, but as yet have not done so. A search on a review of a Sonata (a car I no longer have) gives a reason as to why I don’t own this car any more. A little background. I like cars. I am surely not the only one, but I believe there are very few who can claim to have done what I have. I have been driving for near enough to 40 years, and in that time I have owned more than 30 cars. I mean owned, not just borrowed and driven once or twice. I have owned Datsuns, Toyotas, Mazdas, Hillmans (okay, only one of those), Hyundais, Alfas, Mercedes, Mitsubishis, Saabs, Holdens, Fords (but to be fair, the Holdens were re-badged Opels and the Fords were re-badged Mazdas). 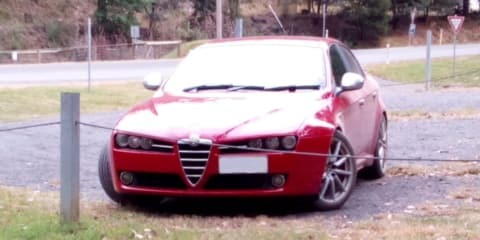 This brings me to Alfa Romeo. I’d have to say my favorite brand. 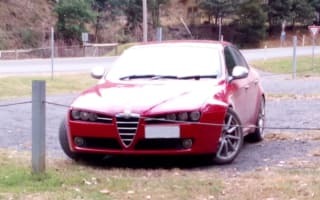 I have owned two Alfa 147s and a 159. The 159 was a 2.2-litre 2008 JTS Ti Selespeed. Yes, Selespeed. And if I could have any car back, it would be that one. I had always liked the look of these, and thought if I found one online I would go and see it. If you look at one of these in the flesh, you will be amazed at how sensuous the curves are and at the same time how aggressive. They look great on the road, but looking at one up close is something else. I was driving a Mazda CX-7 at the time, and the instant I saw this car, I had to have it. So, what’s it like to own one of these? The looks are amazing and you will be constantly staring at it after you park your car, but there is more to it than that. You get into the driver’s seat and the dash looks like it was made for you. The leather-bound steering wheel is a treat to hold and looks great. The centre console has an aluminium finish (which gets bloody hot in the summer) and looks fantastic, and has the gauges angled towards the driver. The leather seats are electric and have multiple controls plus a memory function and seat heating. If you can’t get comfortable in this car, you do not know what you are doing. Then you have that starter button, which when pressed gives you the growl of the engine. It feels like a sense of occasion every time you climb into this car. From a practical point of view, there is good room up front and okay head room for rear seat passengers, but leg room is a bit small. The car is considered a five-seater, but really only a skinny child who is not too tall could fit in the middle at the back. However, the car does have a reasonably large boot. Just about every review you read these days on cars goes on and on about the infotainment system. I defy any car to have as good a sound system as this one without being aftermarket. The sound quality is amazing in this. What is not so good is the user interface, as most of it is voice controlled and there is little in the way of visual feedback. The system also seemed to have the habit of ‘locking up’, which requires a total reboot (disconnect the battery) to fix – not nice. The system does have Bluetooth for phone calls, but not audio streaming. The system does have a USB port that can play MP3s. The car has dual-zone full climate control that works very well (heating, cooling, ventilation, defrost etc), but also seems to have a mind of its own. It would sometimes change modes and blast you with hot or cold air for no apparent reason. So, what’s it like to drive? It comes equipped with 19-inch wheels, Pirelli P-Zero tyres and red-painted large-caliper Brembo brakes. This thing sticks to the road and goes around bends, and will stop any time you want it to very quickly without a hint of fading. In actual speed, the 2.2 is up to the task, but is not really fast enough for the looks of the car. For that, the 3.2 would be the go, but it would gain a bit of weight over the front wheels, which may slow the responsiveness in the curves. Then you have the Selespeed – so much rubbish written about these. Horror stories everywhere. Selespeed is a manual gearbox with a robotic clutch. The gearbox is the same one as in the manual version of these. The actuator is electronically controlled instead of by your left foot. I loved the gearbox in that car. Much more engaging than the torque converter gearbox in my current car. The gear changes are felt exactly in the same way as in a manual. The only difference is the control is done by a computer instead of you. The best way I can describe it is: imagine you are a passenger in a manual car, and you have no control of the gear changes but you do feel them. However, if you do want control, you can always put the system into manual mode. The system is also driver-oriented. Imagine doing some twisty bits of road in auto mode: as you approach a bend, flick the downshift and the car holds the gear while you slow down to take the bend and then accelerate out of it, and only shifts back to auto when the acceleration reduces. Ayrton Senna wouldn’t do it any better. Now for the bad bits about driving this car. Turning circle. OMG, you need a football field to do a U-turn in this thing without doing a three- or five-point turn. Then there is the Selespeed. Above I described how good it is – this part is not so good. The only way the computer knows whether to engage the clutch or not is by a combination of throttle position and vehicle speed. It works well in most situations, but backing out of a driveway up a slope is a real problem. Because you need a lot of throttle, the system thinks you are trying to go fast and hard-engages the clutch and you find yourself shooting backwards. There are also times in normal driving that the car finds itself in the wrong gear and there is a noticeable delay and a large ‘clunk’ for it to correct itself. Fuel economy – I would put this in the okay bracket. Not bad, but not good either. Reliability – this is a mixed bag. The car never let me down, unlike many of my other cars, but it was costly to maintain. I do not remember a service less than $750. It always seemed like something needed replacing. These cars, according to the mechanic, are notorious for needing the timing chain replaced, but luckily I didn’t have to do that. I did have to replace the brake rotors and bushes associated with the suspension and steering. I also had to replace multiple hoses in the engine bay. I also had the car checked for a suspected fuel leak due to a strong fuel smell in the cabin, but the issue was never found. I owned this car for over two years, which is a lot for me. It is said that if you love a beautiful woman, chances are she is high maintenance but very worth the effort. Well, that sums up this car as well. Thank you to anyone who read all that.